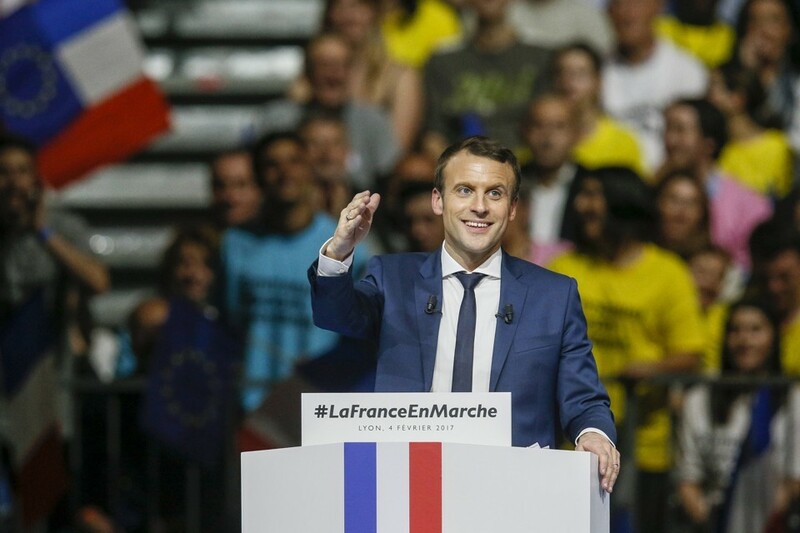 Even though he has little to no experience of government, centralist ideas along with a pro-EU attitude, Emmanuel Macron, in my opinion is the best person to lead France into new territories. Of course, there were many doubts as to why Macron was not the right choice for being the French president, the biggest being that he is a former investment banker for the company Rothschild & Co., which could entail that he still has ties with the company itself, or that he doesn’t carry interests of the lower class citizens of France. Then there’s the fact that he’s centrist, while it did attract supports from both sides, it is still hard to know whether he will be able to succeed as president; in order to implement his plans, he will need the same constituents who elected him into office along with those who opposed him to elect his regional representatives. But Macron was the right choice for being President of France because he supports ideologies that would, in my opinion, strengthen France rather than putting the country in complete chaos. One of the reasons why Macron was more suited to be President was because throughout the time of campaigning, Le Pen has advocated for a lot of nationalist ideals; the biggest one being Frexit (French exit from the European Union). According to the New York Times, while she doesn’t support the existence of the European Union, she still receives a salary about 110,000 USD every year along with a office budget of more than 370,000 USD and that, is where she shows her hypocrisy. She’s also a part of the biggest political family in France; “the Le Pen name carries a lot of baggage in France, her father was Jean Marie Le Pen, who co-founded her party, the National Front”, that is host of Last Week Tonight and comedian John Oliver describing the Le Pen family. The prospect of “Frexit” is terrifying to say the least, if France were to have a French exit from the European Union, it would face steep consequences, resulting not only the Union itself collapsing altogether, but could also face declines in trading along with lengthy negotiations with other nations, and as the British have proved, it is harder to leave the European Union than it looks on the surface. While the British have seen positive economy gains in their home country since the referendum, they have yet to face consequences from such a choice; the biggest one being the possibility of Scotland leaving the UK itself, according to Aamna Mohdin from Quartz, out of the four islands that make up Great Britain, England voted with 53.4 percent of the population deciding to leave the European Union; followed by Wales at 52.5 percent, Northern Ireland at 44.2 percent, with Scotland coming last at 38 percent. While it is true that Scotland can’t have a referendum vote without the UK’s approval, there’s doubt whether Scotland is willing to fully cooperate with the UK in the future. Even though current UK Prime Minister, Theresa May, is very confident by “arguing that the four nations of the UK are an “unstoppable force” when they work together” and that, does not sound like a reassuring answer; that sounds more like a demand from the British government to unite together rather than a resolution. While some may argue that Macron’s policies and the lack of experience in the political world as similarities to President Donald Trump, I would like to suggest otherwise. Yes, Mr. Macron does have policies that would benefit big corporations, such as the plan to lower taxes on corporations by 10 percent; but he’s also “proposing a five year-plan that will see 42 billion pounds (50 billion Euros) invested in areas such as job training, farming, transport, infrastructure and the healthcare.”. Whether you agree or not with his plan, it is at least a coherent plan that could rejuvenate France’s workforce; it is also, in my opinion, a reassuring response to those who are currently unemployed. From that alone, I can firmly say that Emmanuel Macron’s vision for France is not only better than Marine Le Pen’s vision, but it can also be learned by other countries; with our own nation being led by a leader who likes to cling onto the past, I am glad that the French people have decided to elect someone who’s less biased but is also looking at renewable energy resources and is willing to train people who no longer have a use in their own respective work field. I hope that Emmanuel Macron will be able to fulfill his promises, but at least he’s the beacon of hope that not all want a political candidate who has a closed world view.